According to publishers, e-books accounted for an average of 6.2% of total sales in 2011 vs. 5.4% in 2010. Germany’s book market is among the three largest in the world, but e-books still represent a very small percentage of overall sales. End-of-year sales in 2011, however, offered signs that the land of Goethe might be slowly making a shift toward a digital future. With overall book sales in Germany experiencing their first minor dip in years (1.4%), more and more publishers are investing in their e-book business, despite the current lack of overwhelming demand from readers. A broad study released last month reveals that e-books are now seen as an inevitable part of the German book market – and a source of hope. The study — the second of its kind — was conducted by the Börsenverein and GfK Panel Services at the beginning of this year. “The e-book market looks promising in Germany,” said Steffen Meier, spokesman for the Arbeitskreis Elektronisches Publizieren, part of the Börsenverein des Deutschen Buchhandels. “[It] is currently only profitable for a small minority of market players, but publishers and book retailers still have to invest in the first place. However, the outlook for 2015 is good,” he added. In 2011, e-books represented just a 1% share of the overall book market (excluding professional books and textbooks), and only 1.2% of Germans over the age of 10 bought an e-book last year. Around half of all publishers have already integrated e-books into their program; nearly 90% plan to publish them in the future. For those that already offer e-books, 42% of new titles and 30% of backlist titles are currently also published in e-book format. But e-books still don’t contribute much to the bottom line. According to publishers, e-books accounted for an average of 6.2% of their total sales in 2011 (2010: 5.4%). But the e-book is still viewed as a source of hope. The publishers surveyed anticipate that e-books will account for an average of 17% of their total sales by 2015. Last year, they estimated that this share would be 16.2%. “Interest in reading is as strong as ever and the desire for e-books is growing steadily. However, after seven years of continuous revenue increases, the economic fluctuations that have impacted business in recent years have now also reached the book market”, said Alexander Skipis, head of the Börsenverein des Deutschen Buchhandels, last month in Frankfurt am Main during a presentation of the Börsenverein’s most recent e-book study. “E-book sales have doubled compared to 2010. These growing sales still can’t compensate for the current decline in the market, but the course has been set. Because of this, publishers and booksellers are no longer wondering if they should invest in e-books, but rather when”, said Skipis. The German e-book market’s ability to make the leap to digital will be determined by three factors: price, device and availability. Currently, German e-books tend to cost about 20% less than their print counterparts. The fixed book price that applies to printed books also applies to e-books, meaning that they must be sold for the same price on all platforms and are not subject to discounts. But perhaps the biggest hill to climb on the pricing front is the discrepancy between the VAT customers pay for printed books: 7% on print vs. 19% on e-books. This is an issue that effects much of Europe, though France was the first EU member state to reduce its VAT on e-books to 5.5% in January and then back up to 7% in March 2012, defying the law handed down from Brussels prohibiting member states from applying reduced VAT rates on e-books. Both France and Luxembourg are now under investigation by the European Commission for lowering their rates. Until Germany follows suit, customers are unlikely to switch in droves to the digital reading experience. E-reading devices and tablet computers have seen a substantial expansion in sales over the past year. Libreka’s Ronald Schild, estimates that in year-end sales of 2011 alone, between half a million and one million e-readers were sold. Tablets are preferred over dedicated e-readers in Germany. Ninety percent of publishers expect tablet computers to dominate. 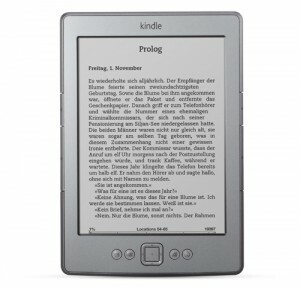 However, dedicated e-readers are starting to play a considerably bigger role. Sixty-eight percent of publishers are now convinced that e-readers will also catch on — that’s 14 percentage points higher than last year. And the market for e-readers is becoming more competitive by the day, dominated by the latest Sony model PRS-T1 priced at €149, Weltbild’s new color e-reader priced at €60 and the Kobo and Kobo Touch readers released last October. 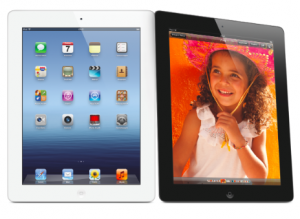 The number of devices sold by Weltbild at year’s end 2011 was in the high six-figure range. 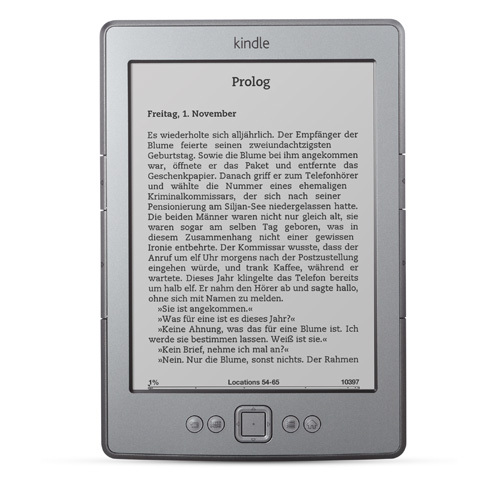 Amazon.de announced at the start of 2012 that the Kindle, which was introduced to the German market in September 2011 at a price point of €99, was its top-selling product of 2011. Still, there are quite a number of cultural hurdles to overcome. Market research firm GfK Panel Services released a study last year in which 78% of Germans questioned claimed to not want to read from a screen, and 85% reported that they loved printed books too much and that a device would not provide the same reading experience. And an e-reader is only as good as the book that’s read on it. Launched by the Börsenverein (German Publishers and Booksellers Association) in 2006, and offering e-books since 2009, Libreka claims to the largest distributor of German e-books. It has a current catalog of over 275,000 e-book titles, but a search for German language e-books on its platform brings up just about 40,000 hits. However, in early December 2011, of the top 20 bestselling titles on the charts in Der Spiegel, 95% of hardcovers and 80% of paperbacks were also available as e-books. In a sign that people are starting to take this market seriously, MediaControl has started to compile a monthly e-book bestseller list, which is available in the Börsenblatt, Der Spiegel, and Buchreport, among other publications. The bestselling non-fiction e-book for 2011? Walter Isaacson’s biography of Apple founder Steve Jobs. The latest German e-book study “Markt mit Perspektiven — das E-Book in Deutschland 2011” (Market with prospects — The e-book in Germany 2011), released in May 2012, is the second joint study conducted by the Börsenverein des Deutschen Buchhandels and GfK Panel Services Deutschland. A selection of 1,800 brick and mortar retailers and 1,850 publishers was surveyed at the beginning of 2011 and 2012 for the study. E-book sales and turnover for 2011 were extrapolated from a survey of a GfK consumer panel of 20,000 individuals over the age of 10 who were asked about their book purchases on a monthly basis. An additional consumer e-book survey of 10,000 end consumers over 10 was conducted in January 2011 and March 2012. DISCUSS: Why is Europe’s Policy for E-books So Schizophrenic?